Pretty much everyone on the planet has heard of ADHD. This is a very serious disorder that can impact anyone and everyone. While it is possible for adults to be impacted by ADHD, children tend to be far more vulnerable. As a parent, it is your responsibility to know all about ADHD, so you can catch it very easily on. You should be aware of the signs of ADHD, so you can immediately get your child help if he or she needs it. If you’re looking for information about ADHD in children, you’ve come to the right place. This comprehensive guide will tell you everything you need to mow! First and foremost, you should take the time to learn more about this disease in children. First, you need to realize that ADHD stands for attention deficit hyperactivity disorder. It is considered a mental disorder that is classified as a neurodevelopmental type disorder. This disorder can impact the child in numerous ways. It can cause them to have difficulty paying attention. They’ll also exhibit excessive activity. They’ll seem hyper and they may have trouble controlling their behavior. It is pertinent to understand that these actions are not appropriate for the person’s age. In most cases, attention deficit hyperactivity disorder will begin to present itself when the child is twelve years old and they’ll stick around for at least six months. When it comes down to it, ADHD is still somewhat of a mystery. Doctors and researchers are not entirely sure what causes the disease. Nevertheless, it is believed that a combination of factors can cause ADHD. Most agree that this disorder is caused by interactions between social, environmental and genetic factors. It is also believed that ADHD may be caused by infection or trauma to the brain. Two studies determined that the disorder was actually inherited with genetics from a single parent determining roughly ¾ of all cases. It should also be known that siblings of children with the disorder will be far more likely to develop it as well. Environmental factors may also play a role. For instance, alcohol consumption during pregnancy may cause ADHD. Low birth weight, neglect, and premature birth can also increase the risks. It is also thought that society may have an impact on ADHD. A dysfunctional family and even a poor educational system could potentially lead to ADHD. As a parent, it is your responsibility to find out when your child is suffering and when something is wrong. Therefore, you should familiarize yourself with the signs of ADHD. By doing so, you’ll be able to spot the problem when it begins to present itself. This will allow you to get your child treatment as quickly as humanly possible. So, what should you look for when attempting to identify ADHD in your child? First and foremost, you should know that children with ADHD will often be inattentive. They may or may not show signs of impulsiveness or hyperactive. Some children will experience impulsiveness and they may be very hyper. Still, some children will be able to pay attention to some degree. However, the most common symptoms include a combination of all three. If you notice that your child is being inattentive, impulsive and hyperactive, you need to speak with a doctor immediately. There is a good chance that they’re dealing with ADHD. It is absolutely essential to understand that each patient is different. At the same time, each case of ADHD will be unique. There are really no two cases that are identical. Therefore, you must go above and beyond to always keep an eye out for ADHD. If your child begins behaving awkwardly at the age of ten, you should take note. If your child exhibits the symptoms of ADHD at a later age, you should also keep an eye on them. It is truly possible for children to be diagnosed with ADHD at pretty much any age. ADHD around the age of twelve. Around this age, you should begin keeping a closer eye on your children just to be safe. Nevertheless, you should always monitor your child’s behavior and look for anything out of the ordinary. If you suspect that something is wrong, be sure to take him or her to the doctor immediately. What Are The Medication Options For Treatment? There are tons of ways to treat ADHD. Nevertheless, most doctors will recommend prescription medications. Again, it is pertinent to understand that each child is different and each case of ADHD will be unique. Therefore, there is really no medication option that is best for everyone. Instead, a lot of children will need to experiment with several medications, until they’re able to find the one that works best for them. It is really a trial and error process until you’re able to find the right medication for your child. Most ADHD medications have been around for an extensive period of time. Doctors know a great deal about these drugs. However, they’re not entirely sure why some children react better to certain medications than others. Usually, the child will first be given a low dose stimulant. Then, their behavior will be monitored and the doctor will go from there. Another thing to take into consideration is that these medications are not totally flawless. While they can help to offset and improve the symptoms of ADHD, they may also come with some serious side effects. Before attempting to medicate your child, you’ll want to make sure that you’re totally familiar with the possible side effects of these medications. You’ll also want to make sure that your child is indeed suffering from ADHD. This is why you should consult with a licensed doctor. Take your child to the clinic and get them checked out. Adderall, Ritalin and other common ADHD medications can create serious problems for children. Be positive that the benefits of the medication actually outweigh the risks. All parents are different. Some will prefer medication, whereas others may attempt to find a natural way to rectify the problem. This is a question that you’ll need to answer for yourself. Again, there are tons of medications that can be used to combat ADHD. As mentioned above, two of the most common include Ritalin and Adderall. Most ADHD drugs fall into two categories, amphetamine or methylphenidate. These drugs work in a similar manner. They generally help to calm the child, so they can finally sit still for a chance. Some of these medications may also be able to help enhance the child’s ability to learn and concentrate. Doctors admit that these drugs actually stimulate the child’s brain. They turn on the brakes inside of the brain to ensure that everything is easier to focus on. These medications are also effective for putting a halt to impulsiveness. Adderall is specifically used for the treatment of attention deficit hyperactivity disorder. It is capable of altering the quantities of specific natural substances in the brain. In return, this drug can help your child pay attention and remain focused on a specific activity for a much longer period of time. It is also believed that Adderall can help organization and listening skills. The drug is also used to combat narcolepsy, but it is more commonly used for ADHD patients. The medication is generally taken by mouth one to three times a day. It can be consumed with or without food. Ritalin is somewhat similar to Adderall. The drug is primarily used for the treatment of ADHD. Again, it works by changing the levels of certain natural substances inside of the brain. Methylphenidate and amphetamine and both considered stimulating. Ritalin is also used for narcolepsy. Finally, Ritalin works similarly to Adderall and it can achieve the goal end goals. The medication can help the patient pay attention for longer and remain focused on a specific activity. It may also be helpful for controlling behavioral issues. Ritalin is normally taken two to three times each day. Again, it is impossible to say which medication will be best for your child. Therefore, you may need to experience with several, until you’re able to pinpoint the best medicine. As mentioned above, ADHD medications are effective for treating this particular disease. Nevertheless, they tend to come with several drawbacks. Pretty much every ADHD medication is going to cause some side effects and some of them are not pretty. As a parent, it is your duty to familiarize yourself with these side effects, before agreeing to medicate your child. A recent study concluded that nearly 50% of all patients taking ADHD medications would experience some side effects. There is a pretty good chance that your child will as well. So, what are the most common side effects associated with ADHD medications? You’ll find out below. First and foremost, you should know that ADHD medications can actually cause sleeping problems. After consuming these medications, there is a chance that your child will start having trouble falling asleep and staying asleep at night. The child may also become anxious or nervous. Some patients will experience nausea and vomiting after consuming Adderall. It is also possible to experience a headache, loss of appetite and even erratic weight loss when consuming Adderall and other similar medications. These side effects are common but usually temporary and mild. The serious side effects associated with these medications are rare. They include changes in vision, seizures, severe headaches, shortness of breath, and even skin rashes. If your child experiences any serious side effects when taking any ADHD medication, you need to contact a doctor immediately! Do not delay! Remember to only give your child the dosage that is recommended. This is the best way to decrease the risks of experiencing any side effects whatsoever. Children with ADHD need discipline, routine, and activity. If your child’s existing routine does not consist of these, you will need to make a few alterations. One of the best ways to start is to create a set of rules that must be followed to a tee. Establishing clear rules for your child will only be the beginning. You must remember that this is a continuous process that will require intermediate alterations to see your child into adulthood. Medical experts recommend a chore list for children with ADHD. These chores will not only help keep your child entertained but also teach them responsibility. Along the way, be sure to give your child praise and reward them for acting appropriately. This will help encourage them to continue acting in the desired way and completing their daily chores. Sharing is an issue with all children, especially children with no siblings and those with ADHD. Teaching your child to share from an early age will be difficult, but if you allow them to frequently interact with other children, it will make your job easier. By encouraging your child to do their homework at a specific time will help enhance their focus. Improving focus for young children is extremely difficult, but over time and with aging, they are able to focus for longer periods of time. 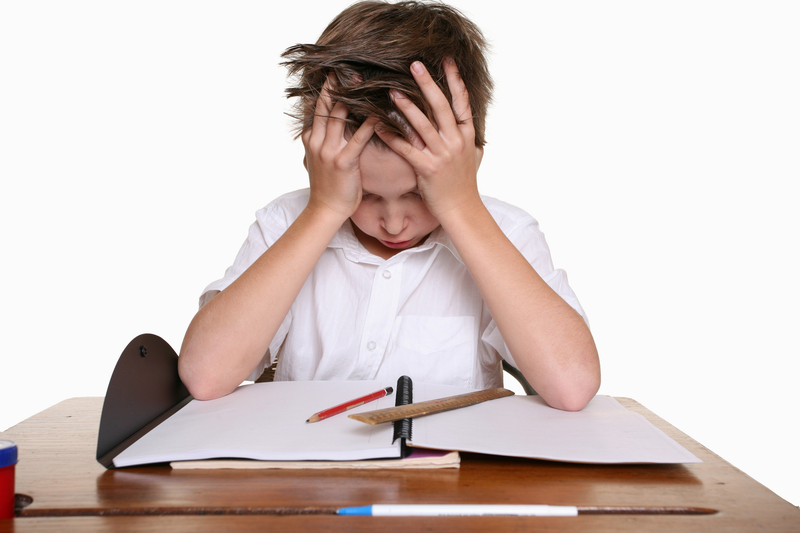 A child with ADHD will struggle more to focus than other children. However, if you are diligent about encouraging them to do complete their homework, read, draw and write routinely, you will begin to see an improvement. It is also a good idea to incorporate stress management techniques into your daily regimen. Children with ADHD will have difficulty dealing with frustration, which causes them to act out. These techniques will not only benefit your child but also be very beneficial to the entire family. If you have difficulty managing your child’s behavior and feel like you cannot go forward, you should consider joining support groups. There are millions of children around the world living with ADHD. So, you are not alone in this battle. Supports groups can help parents deal with issues related to ADHD. Remember, the people attending these groups are seeking help just like you. If your child is exhibiting hyperactivity, impulsivity, and inattention, it may be time to start considering a doctor’s visit. It is highly likely that they have ADHD. It is important to note that not all children will have both hyperactivity-impulsivity and inattention. In fact, most children will have one or the other. So, do not hesitate to schedule a visit to your pediatrician, if your child lakes the ability to focus, desire for immediate rewards or lack of comprehension. All of these are signs that point to ADHD.